TV is a cyclical beast. One day vampires and witches are in, the next day it's shows about politics or fairytales. 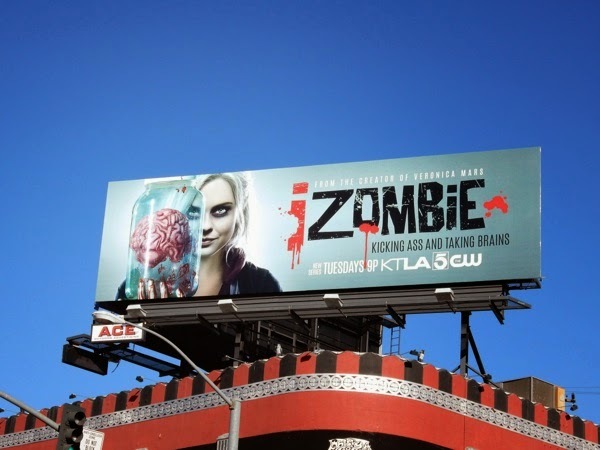 With the success of AMC's The Walking Dead, it's no surprise that other channels are trying to cash in on the current demand for zombies, whether it be Syfy's Z Nation or The CW's newest series, iZombie. 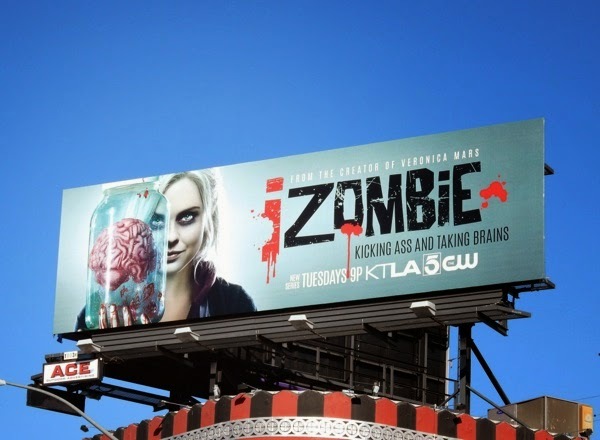 Based on a DC Comics Vertigo comic book series of the same name by Chris Roberson and Michael Allred, Rose McIver (no stranger to fantasy and recently seen as 'Tinkerbell' in ABC's Once Upon a Time series) stars as 'Olivia "Liv" Moore', an ex-medical student, now a brain-eating zombie. Working at a coroner's office to satisfy her demand for a diet of grey matter, she uses her ability to absorb memories when she eats brains to help solve homicides as a modern day Veronica Mars. 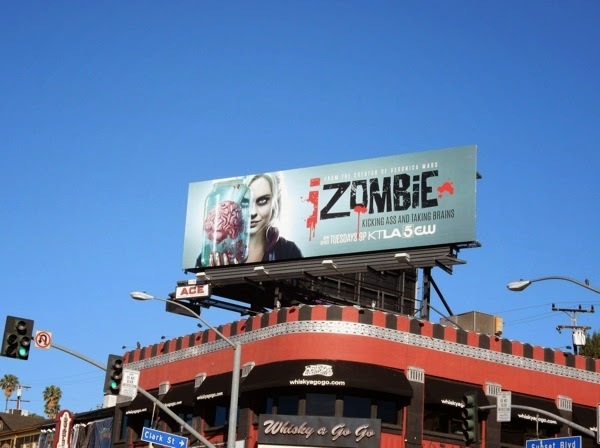 This iZombie series premiere billboard was snapped above the infamous Whisky A Go-Go club venue along the Sunset Strip on March 3, 2015. 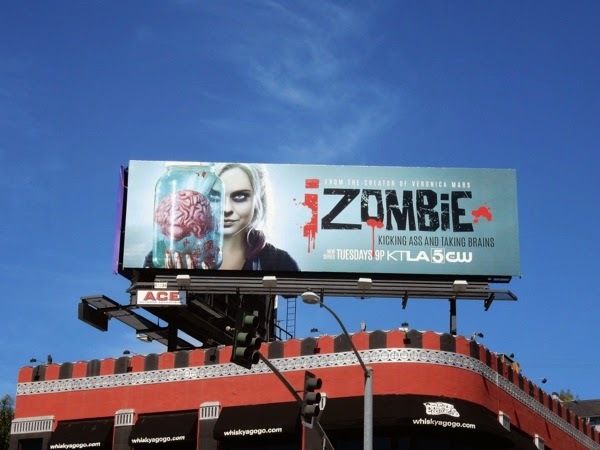 Let's see if viewers will devour this new zombie series in the same way they've wolfed down other tales of the undead.